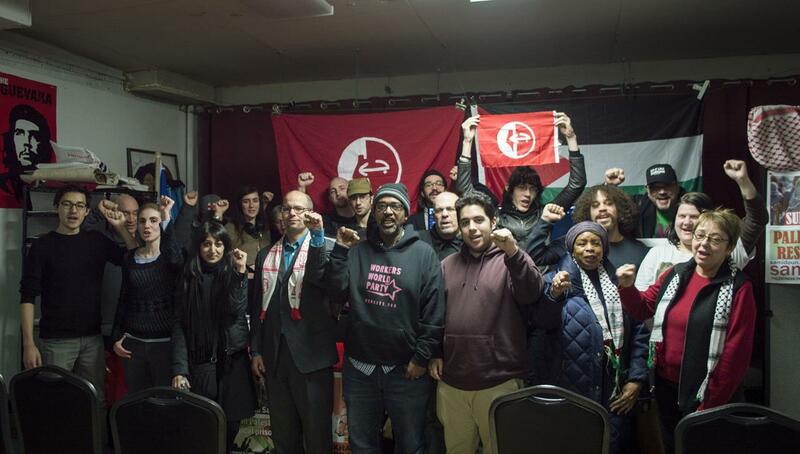 New Yorkers marked the 50th anniversary of the Palestinian revolutionary left and the founding of the Popular Front for the Liberation of Palestine at a seminar in Manhattan on Monday, 11 December. 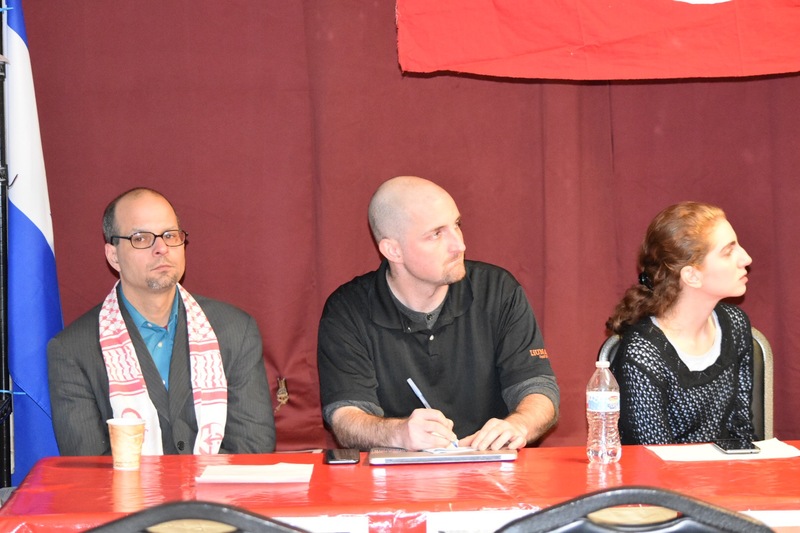 The event, organized by Samidoun Palestinian Prisoner Solidarity Network, brought together over 50 people for an evening that commemorated and celebrated the ongoing struggle of the Palestinian left in the liberation movement. 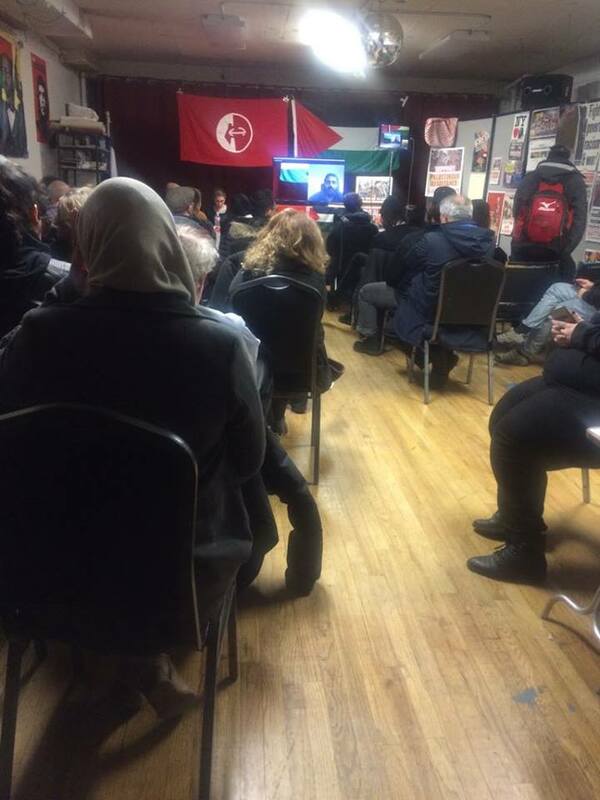 The event, at the Solidarity Center, included an introduction to the history and development of the PFLP leading up to and following its founding on 11 December 1967. 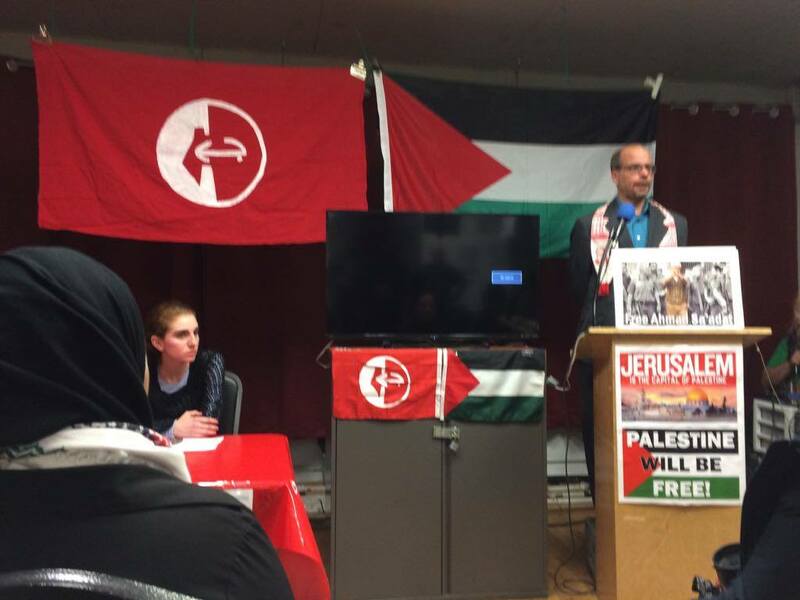 Events marking the 50th anniversary of the founding of the PFLP took place in occupied Palestine as well as in Lebanon, Syria, Turkey, Germany, Denmark, Italy, the UK, France, and other countries around the world. 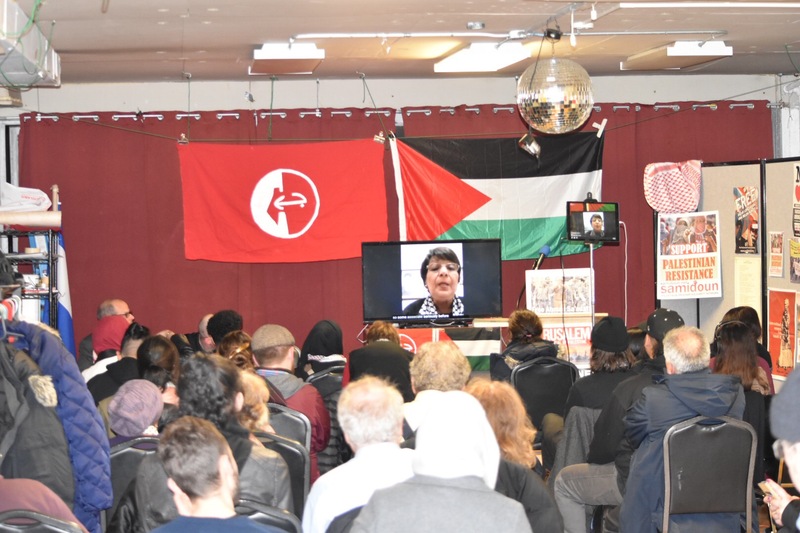 A recorded video from Leila Khaled, historic Palestinian resistance icon and current member of the Political Bureau of the PFLP, provided an overview of the role of the PFLP and a reminiscence of the early days of its founding. 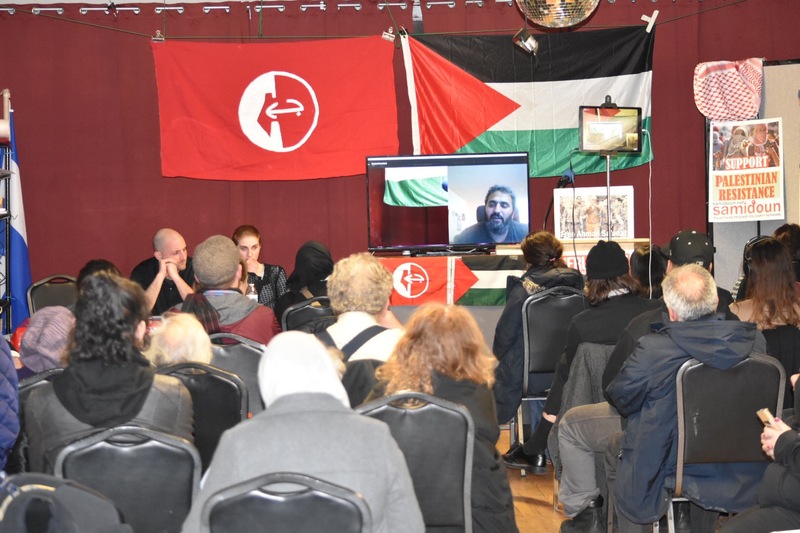 The event’s keynote presentation was a live video discussion with Khaled Barakat, the international representative of the Campaign to Free Ahmad Sa’adat, the imprisoned General Secretary of the PFLP. 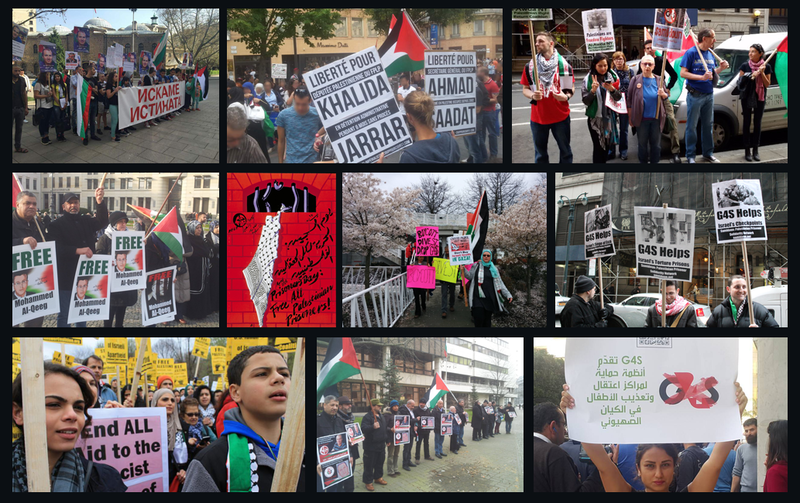 Barakat provided a Palestinian leftist take on the current political situation of the Palestinian people, especially the upsurge following Trump’s declaration on Jerusalem. He emphasized that the Palestinian left is “also an Arab movement and also an international movement…Our internationalist dimension does not only mean having comrades from outside the Arab world joining our struggle, but also to be a genuine part of their struggles.” He saluted the Black Liberation movement as a global inspiration to freedom struggles. 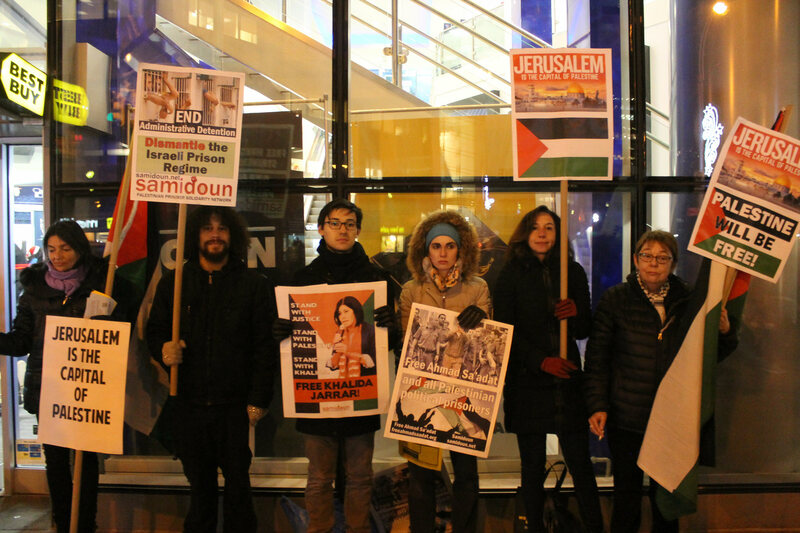 The evening event followed an outdoor protest outside the Best Buy electronics store in Union Square as part of the ongoing Samidoun campaign to build the boycott of Hewlett-Packard. 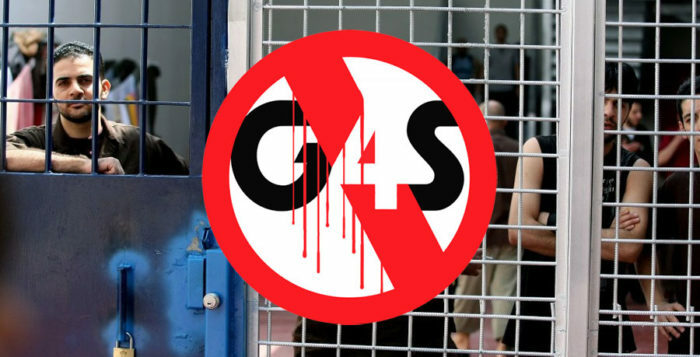 HP corporations are involved in multiple contracts with Israeli occupation infrastructure, including the occupation navy, the checkpoint and apartheid wall system and ID card technology, and the Israel Prison Service. A growing number of churches, labor unions and other organizations are becoming HP-free zones in protest of the corporation’s profiteering from Israeli colonialism. Protesters also emphasized their rejection of Trump’s declaration purporting to “recognize” Jerusalem as the capital of Israel, emphasizing that Jerusalem is Palestine’s capital. 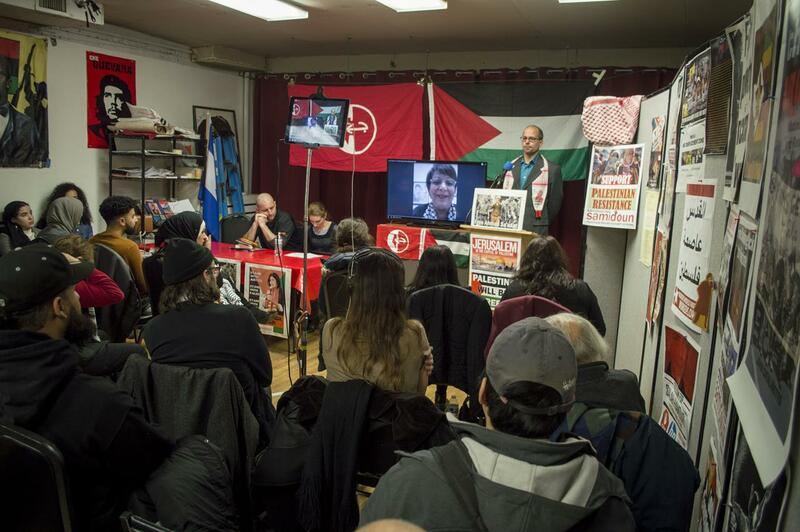 They also focused on the cases of Palestinian political prisoners, including PFLP General Secretary and Palestinian national leader Ahmad Sa’adat and imprisoned leftist parliamentarian and advocate Khalida Jarrar. The event came days after a massive action in New York City in protest of Trump’s Jerusalem declaration that filled Times Square with a strong participation from the Palestinian community before marching through the city’s streets to Trump Tower. 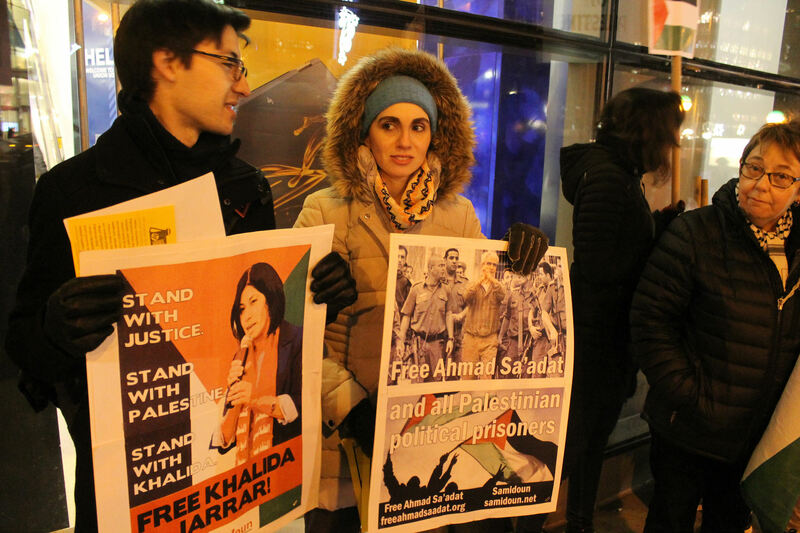 Samidoun activists will be continuing to participate in coalition actions for Palestine and ongoing protests to free Palestinian prisoners in the coming days amid the growing uprising in Palestinea.